iTunes has grown from a simple re-write of Sound Jam as a CD importer in 2001 to a full-blown Internet portal and money machine for Apple. The new iTunes 9 combines a visual clean-up with some new features to keep it the premiere entertainment tool for PC and Mac users. 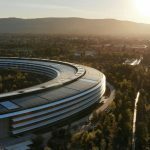 During the September 9th "Rock and Roll" event, Apple noted that the company has over 100 million credit card accounts. That creates a strong motivation to keep iTunes fresh, relevant, well organized, colorful and attractive for all those people with a credit card number, just aching to spend a few bucks. Perhaps the most important design element of iTunes is the facility for customers to find what they're looking for and discover new, related things that are similar to what they've already bought. As iTunes content has grown, that's required a bit of hierarchical reorganization. Typically, that requires using good or at least familiar UI design elements. iTunes 9 now has a black menu bar across the top to help customers home in on areas of interest: Music, Movies, TV Shows, App Store and so on. The older iTunes 8 had a list in a box on the upper left. That may seem like a subtle difference, but both Apple and PC customers are accustomed to menu bars across the top of their windows, so that makes good sense and conforms to the tab concept used elsewhere. The visual presentation of content has also been redesigned to be more appealing. For example, songs from an album are presented in a cleaner way that is less like a spreadsheet listing and more like what you might see on the back of an album. Each song in an album now has a new popup button on the far right that allows one to do new things, especially those things that help you promote something you like to friends, such as Tell a Friend, or Share on Facebook or Twitter. Jeff Gamet posted a Quick Tip on how to use that feature on Monday. The only thing I didn't like about the improved look is that the corresponding episode lists for TV shows are often yellow or white text on black. That clearly differentiates music from TV, but I'm not a big fan of solid black as a background. In fact, solid blacks are used in other areas including the menu bar. Different isn't always better. There are several other nice additions that make the experience of listening or viewing better. iTunes LP. This feature is supported by a new file format that allows for the including of song lyrics, liner notes, photos, special features and videos. Unfortunately, there are only a handful of albums currently available in this format, and it's not clear whether the record labels are 100 percent behind Apple's file format. Also, I read, but have not confirmed, that such LP albums don't have the lyrics transferred to the iPhone. I'll try to confirm that later. Home Sharing. 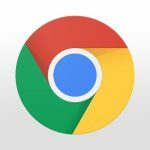 This is an extension of the original sharing concept that allows the easy drag and drop copying of songs from one account to another. TMO covered this feature recently in a how-to. 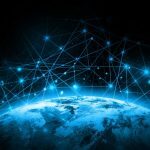 Of course, one could always copy songs from one computer to another via file sharing, but Home Sharing makes the process incredibly easier and more transparent. 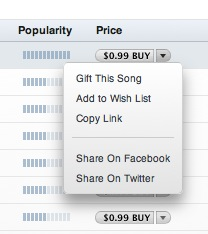 This may be the signature feature of iTunes 9.
iTunes Store. 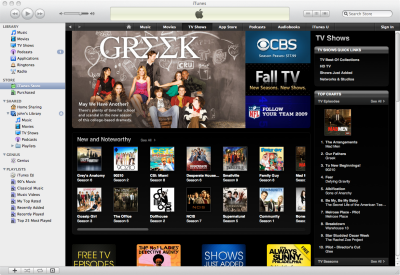 Apple has redesigned the iTunes store itself to be more visually appealing and easier to locate items of interest. I noted that when I perused movies, a movie that I rented recently popped prominently, Alien Trespass, so it's fairly obvious that one of the services, if that's the right term, of iTunes 9 is to help you spend more money on things you've liked in the past or which might be similar. Genius Features. One of the enduring themes of Apple is to come up with a smart, hip way of doing one thing, and then extend the concept to other areas, even if it's in name only. Again, the theme here is to assist the customer with choices instead of letting them sit idle. 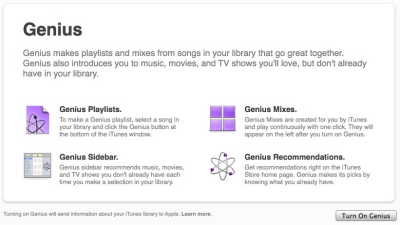 The Genius features now include 1) Genius playlists in which songs similar to one you own can be added to created a fuller playlist, 2) The Genius sidebar which can make recommendations for items you may want to add, 3) Genius Mixes, which create on-the-fly playlists and may actually dig up songs you had forgotten about, and 4) Genius recommendations right in the iTunes store. 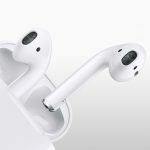 These features require the iTune store to obtain some knowledge of your iTunes library, and Apple is very careful to specify what information is collected. It's not personally identifying, but you should read the terms to make sure you understand them before enabling Store -> Turn On Genius. 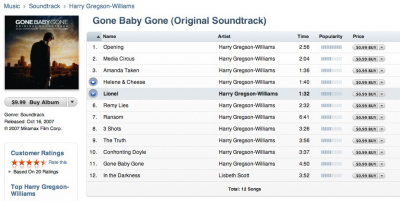 You will also want to understand how this works if you have children using iTunes. That's especially true because iTunes Preferences -> Parental doesn't provide for blocking this Genius feature. Improved Syncing. Now that our iPod touches and iPhones are loaded with apps, we need a better way to organize them, and that's another signature feature of iTunes 9. After your iPhone is connected to your Mac or PC, you can use this feature to arrange your apps and add or delete home screens. 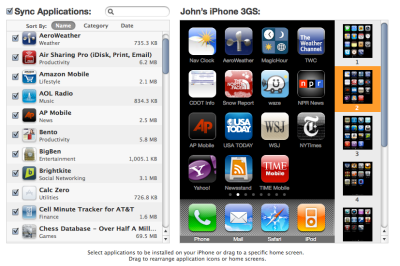 After you have your screens organized they way you want, sync that new organization back to the iPhone. Very nice. Those who have been using iTunes 8.2.x with an unlocked phone should do some research to verify compatibility. I found one page that suggests users should wait on the iPhone OS 3.1 upgrade but that using iTunes 9 is "safe." There are lots if tricky factors that go into a successful unlock, including what kind of Mac you have. Be cautious; do your homework. One thing that hasn't been addressed is the case when the iTunes library is maintained on an external drive. If the drive is accidentally left off, iTunes 9 will happily let you buy new content, and it's up to you to figure out how to consolidate your libraries afterwards. I'd like to see a message that says, "Your iTunes library is offline. Please bring it online before a new purchase." iTunes 9 is a beautiful app with lots of nice new features. 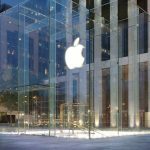 Some customers may be somewhat sanguine about the idea that "new features" translates into ways to help Apple relieve you of your money, so that's a subjective thing. Certainly for those customers who are enthusiastically embracing all aspects of iTunes and have a credit limit to support it, it's a great experience. However, other customers who approach the product with more circumspection should be aware of features that transmit information to Apple, even if anonymously and safely, and prod one into additional purchases that might not have been made if one were attending to other endeavors. In the final analysis, it's a balance between a money making enterprise and service to the customer. For now, the principal focus of the app remains on the latter. I hope it remains so. New organization makes things easier to find. 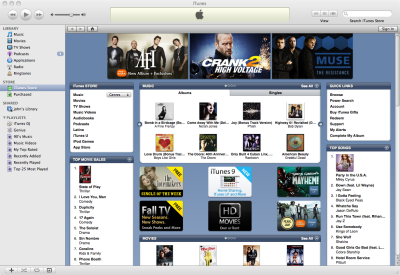 New, more attractive design of iTunes store. New organization and features to help users find music TV shows and organize iPhone apps. Encourages spending, remains tricky to maintain library on external drive, no parental control for relevant Genius features.